In 1875, William Gilbert and Arthur Sullivan had their first ever success with their one act comic opera, Trial by Jury, originally written as a companion piece to Jacques Offenbach‘s La Périchole in London. Trial by Jury eventually overrun its more popular companion, and subsequently launched one of the most successful collaborations in the opera world, the 13 so-called “Savoy operas,” which include The Mikado, Pirates of Penzance and H.M.S. Pinafore. That was the operetta chosen by Lamplighters Music Theatre, the San Francisco-based Gilbert & Sullivan specialized company, to close their 66th season. 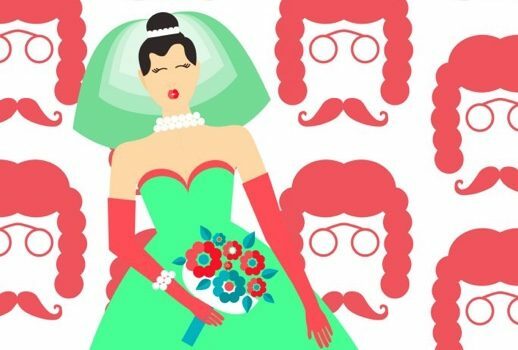 To make it a full evening program, Lamplighters decided to couple it with their 1997 Gala’s original spoof, Trial by Jury Duty, a pastiche using materials from other Gilbert & Sullivan’s operettas, updated for 2019 sensibilities. I managed to catch the performance at Hoffmann Theatre in the Lesher Center for the Arts, Walnut Creek last Friday (3/29). Trial by Jury revolves around a trial for “breach of promise of marriage” lawsuit, where the jilted bride put on a show and in the end received a satisfactory judgement. The story was based on Gilbert’s 1868 single-page illustrated comic piece in Fun magazine, interestingly titled Trial By Jury: An Operetta, almost like a premonition of what their collaboration would become (G&S’s first ever collaboration, Thespis, only came in 1871). Sullivan found the comic hilarious, and filled the operetta with brimmingly sparkling music. Trial by Jury is remarkable for various reasons; it is the only Gilbert and Sullivan opera played in one act and the only theatrical work by W. S. Gilbert without spoken dialogue. Most importantly, it bears the hallmarks of what eventually become G&S musical language; from the patter songs, chorus number openers down to the tenor arias set in 6/8 time. Lamplighters’ production of Trial by Jury as directed by Lamplighters’ Artistic Director Emeritus Barbara Heroux last Friday was, for lack of better words, flawless. It was set in an English court, with lavish costumes that certainly wouldn’t look out of place in a court at that time. The lighting, acting and singing were all natural and unforced (I will detail the singers below). Gilbert’s witty lyrics came out loud and clear, while Sullivan’s tuneful rhythm got the audience dancing. It was the extras that were, well, seriously extra. Prior to even the overture, Trial by Jury was preceded by a spoken Prologue, where two couples discussed the subject matter of Trial by Jury. There was also a Mr. Gadderby that was very annoyingly kept asking for his attorney, even after the court clerk repeatedly told him that his attorney was dead! It was funny the first time, but it got more and more annoying afterwards. In addition, there was also the business of introducing Ms. Jane Eyrehead (got it? ), an important character in Trial by Jury Duty, but was completely silent throughout Trial by Jury. I would think it confused the audience more than helping them, personally, but it did set the stage for things to come. After the break, it was time for Trial by Jury Duty, the proposed second act to explain what happened to the characters after the end of Trial by Jury. While it was fine and funny on its own, when it was placed next toTrial by Jury, I couldn’t help thinking that I was watching an overblown Hollywood blockbuster sequel. The beauty of Trial by Jury in my humble opinion the economical way the drama unfolds; G&S wasted very little time in expositions to introduce and describe the characters. Only the Judge has the lengthy narrative in the aria “When I, good friends, was called to the bar”. On the other hand, at three times the length, Trial by Jury Duty was filled with exposition. I would think that the three little wards (you could guess what song it came from), the ostler and his brothers, the visiting gentry and particularly, the visiting Russian troupe (you didn’t need to turn into a French Grand Opera!) could easily be cut, as they contributed nothing. It was such a pity, as I think the basic premise was a solid one! Nevertheless, the evening was an entertaining one filled with laughter. As usual, Lamplighters’ Music Director Baker Peeples masterly shepherded the Lamplighters Orchestra in an exciting reading, highlighting the many virtues of Sullivan’s charming score while keeping the whole proceeding going. It was particularly remarkable in Trial by Jury, as it was fully sung-through; it definitely left the audience wanting more! I had mentioned before that going to any Lamplighters shows were like going to a family gathering; there was always a sense of warm camaraderie between everybody involved, particularly among the cast, that was very appealing to me. As performers, they too performed as a close-knit ensemble that supported, even elevated, individual performances. It also helped that this performance was mostly casted with veterans that well-versed in G&S idioms. As Edwin the Defendant, Patrick Hagen made a striking impression with his booming tenor voice and great acting, particularly during the aria “When first my old, old love I knew” that he performed with a guitar on stage (inspired by Don Giovanni, perhaps?). Jennifer Ashworth was sufficiently over the top as his counterpart, Angelina the Plaintiff. She had a lovely voice and I always loved her characterizations, however that night her top voice sounded rather problematic. Nevertheless, they sounded great together in the duet “I love him” and in their duet during Trial by Jury Duty. Trial by Jury Duty introduced us to Jean Eyrehead, voiced by soprano Jennifer Mitchell with glee. Her aria “When I afraid” (“Were I thy bride” from Yeomen of the Guard married with lyrics from “My Favorite Things”) delighted the audience and proved to be the highlight of Trial by Jury Duty. The Leaned Judge, first performed by Sullivan’s brother Fred Sullivan, was performed by veteran by F. Lawrence Ewing with perfect comic timing. I personally prefer a weightier voice as the Judge, but Ewing did the job well and made a great asset to the night. The rest of the roles were handled efficiently, with special mention to Michael Granner, who joined the Lamplighters family with these performances, as Foreman of the Jury in Trial by Jury, and particularly noteworthy as Mrs. Danville, The Judge’s housekeeper, in drag. The Chorus, always an important part of any G&S operettas, was sparkling and commented on the proceeding well, even with acerbic tones at times! It was a fun night at the opera, and it was great to hear this early one-act Gilbert and Sullivan opera. May I suggest a double-bill of this piece and La Périchole next time, please?